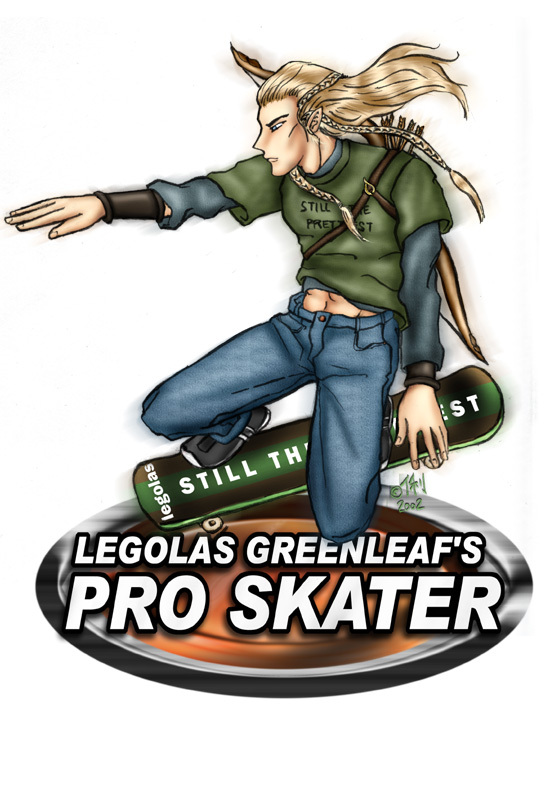 A review: The Hobbit 3: More Legolas Edition! My initial impression is much the same as it was for the second film: We get it Peter Jackson. You like Elves. YOU CAN STOP IT NOW. Let’s start with the positives. Cosplayers, LARP’ers and D&D players will be incredibly happy about this. The costuming and design work is gorgeous, as always, though a lot of the weapons and armour go from the typical ‘fantasy’ style to just flat out absurd. Martin Freeman does very well without doing a direct impression of Ian Holm (His goodbye to the Dwarves is wonderful), Richard Armitage continues have a voice that makes me all kinds of tingly, while the rest of the Dwarves do what they can with the few tiny crumbs of dialogue they have. It’s wonderfully true to the book in that way, which is one of the few ways it is. I suspect much of that will wind up in the Extended Edition, which is a mercy given the bloated length of the previous film. Christopher Lee’s brief appearance immediately improves things, because he’s Christopher freaking Lee, as does Billy Connolly, who plays Dain Ironfoot as an angry drunk Glaswegian. (How he didn’t get cast in Braveheart I’ll never know) And Billy Boyd’s song over the end credits, while not Neil Finn’s Song of the Lonely Mountain, is far from terrible. 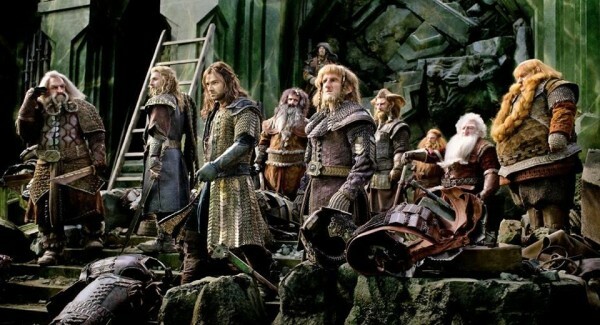 Special mention has to go to the gorgeous armour that the Dwarves find in Erebor, much of which they discard before charging into battle. 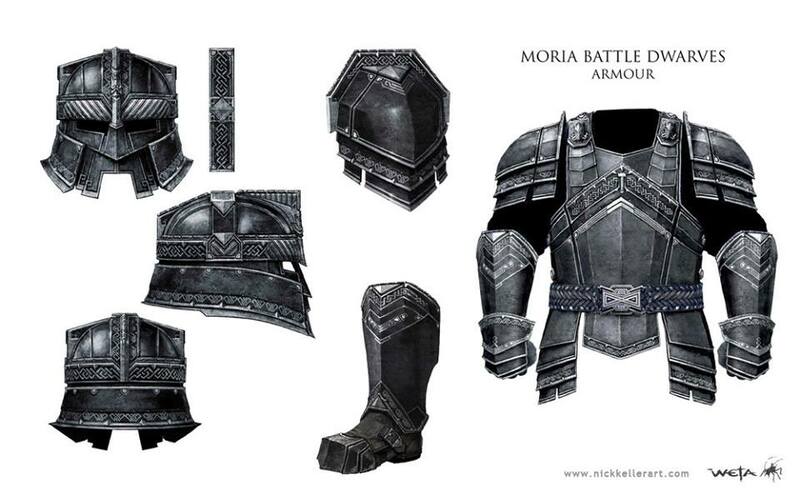 Mind you, given how effective the Orcs plate-mail was, I’m not surprised they didn’t bother to wear it. (Though I’m curious as to how effective a mail shirt is when you don’t button it up in the middle) And don’t get me started on the Trolls, either the mobile catapults or the battering ram. Furthermore, I’d been looking forward to seeing the White Council’s assault on Dol Guldur, it’s just a pity that Gandalf didn’t get to do much, if anything, in it. That ranks up there with Bard using his son as an arrow rest, Bard’s cart born assault on a troll (That was this films version of Legolas’s shield surfing during Helms Deep) or the pratflling of Aldric Lickspittle, a cut rate Grima Wormtongue by way of Are You Being Served. Did I enjoy it? More than the second one. It does feel artificially extended, like butter scraped over too much bread… I’d put Jackson into the same category as George Lucas – he’s very capable, but needs to be told ‘No’ every so often, or failing that have it written into his contract that his film can only be so long. (I’d love to see the original plan for the two movies adaption – I think that would have been far superior) So yeah, in some ways I want to see more, but at the same time I’m glad it’s over. 3 stars out of five. It’s only rock and roll, but I bloody love it. Today has been One of Those Days. The lead up to Christmas in television land is always fairly awful, filled with deadlines and system breakages. There are a few things that can help me get through this without going nuts. My wife. My hobbies. Friends and family. But rock and/or roll music is possibly what helps the most. Those who know me should be well aware of my obsession with Iron Maiden, the Ramones and Radio Birdman, so I’m going to talk about some of the slightly more obscure bands on my playlist at the moment. Easy description: The MC5 fronted by Tina Turner. Easy description: Early 80’s D&D games set to music. A side project from the singer of Scottish pirate metallers Alestorm, they’re both amazing and silly in equal measure. The band’s first album, ‘Tales from the Kingdom of Fife’ is based around an alternate history of Scotland, where the evil wizard Zargothrax invades the city of Dundee with an army of undead unicorns under his control. If that sentence doesn’t make you either A: pick up a set of dice or B: want to air guitar, then this band may not be for you. Any band that wears armour on stage, they have my attention. Started by former Entombed drummer Nicke Andersson (Who shifted to guitars and lead vocals), they evolved from a scrappy bunch of maniacs (Debut album Supershitty to the Max! was recorded and mixed in 26 hours) to classic rockers in the MC5/Sonics Rendezvous Band tradition (Andersson started a soul project with Rendevous Band singer Scott Morgan called The Solution, whose albums are worth hunting down) Never ones to let good sense get in the way of a guitar solo, they split amicably in 2008 – a promised live album from the final tour still hasn’t materialised.